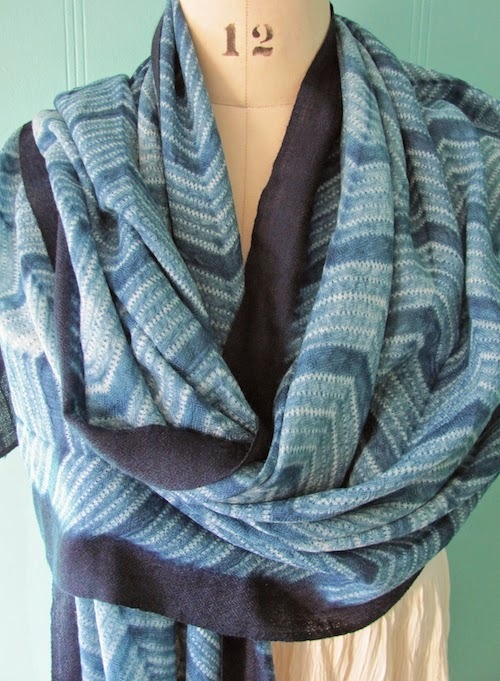 Master dyer's stole- shibori indigo on super fine wool $245. 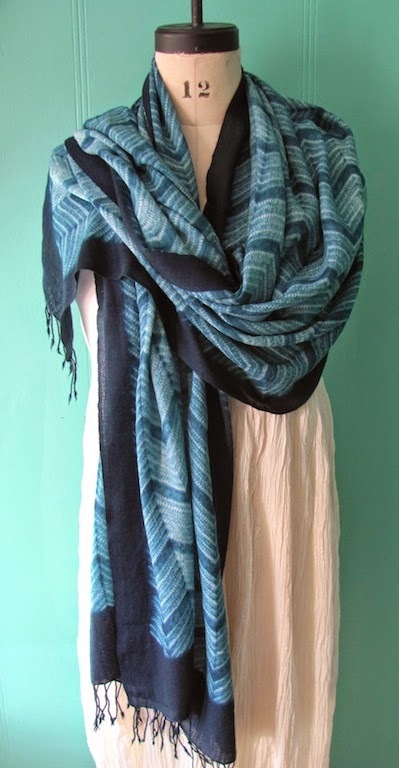 Master weaver's shawl- handspun, handwoven wool with raw silk, indigo $180. 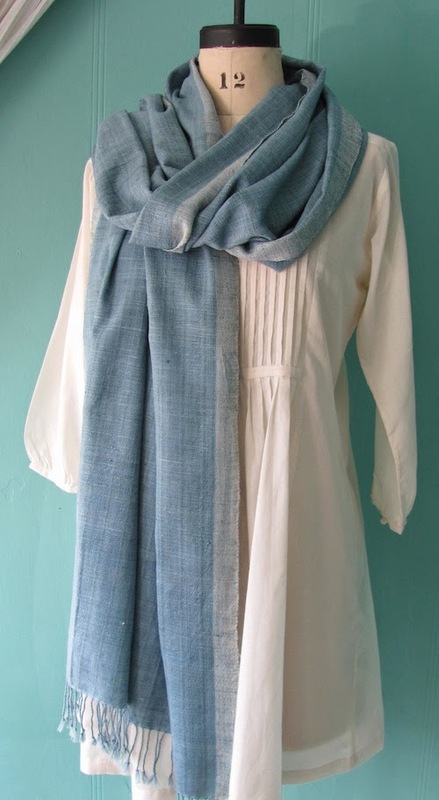 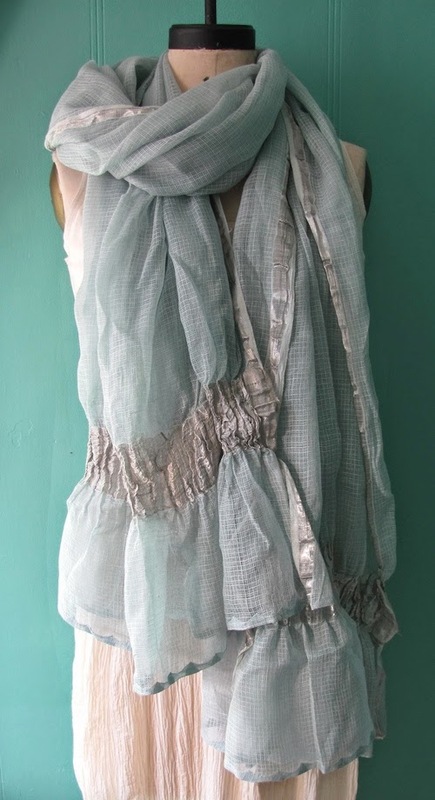 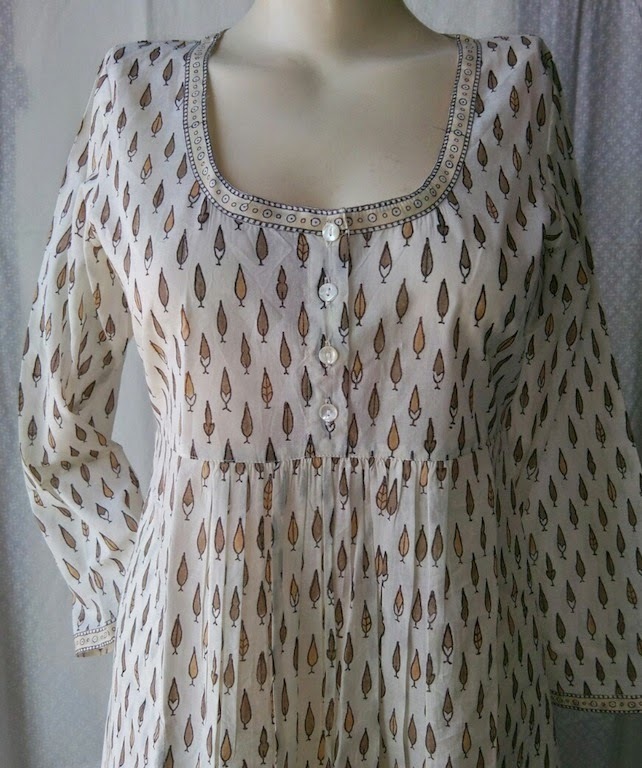 Master weaver's dupatta- doria cotton-silk with silver thread $128.